The Art of the Brick, a global-touring, one-of-a-kind Lego art exhibition featuring the large-scale sculptures created out of iconic Lego bricks by contemporary artist Nathan Sawaya, is being presented for the first time in South Carolina and will be featured in all 11 galleries of the Franklin G. Burroughs-Simeon B. Chapin Art Museum. 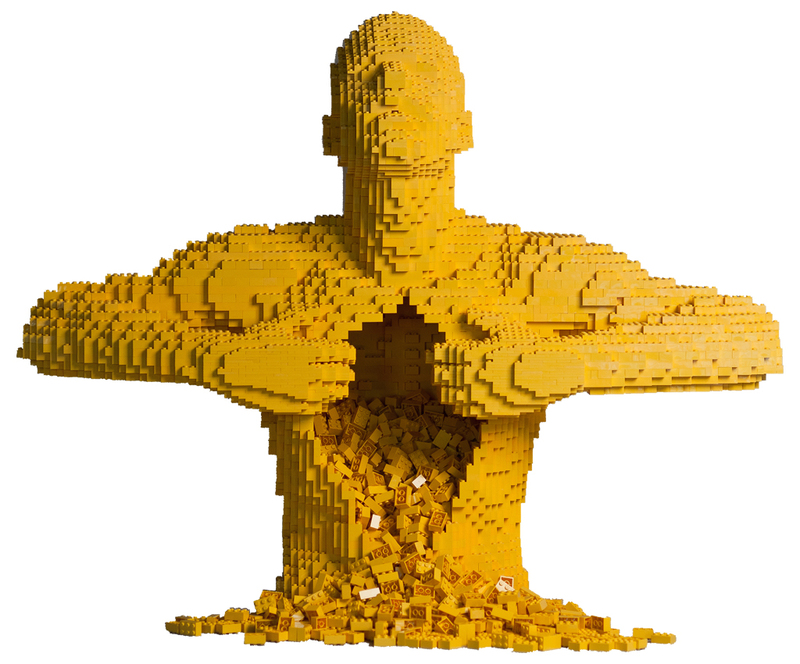 The centerpiece of Sawaya’s collection of sculptures, as well as arguably his most famous piece of artwork, is entitled Yellow, a Lego torso of a man ripping open his chest while yellow plastic bricks cascade out of the open chest cavity. Sawaya has made a name for himself by creating out of Lego bricks exacting replicas of the human form in various states of emotion, including anger, love, depression and joy. Concurrently on display at the museum for the run of the exhibition will be Sawaya’s unique multimedia collaboration with award-winning Australian photographer Dean West, entitled In Pieces. The Art of the Brick and In Pieces will be on display at the museum June 11 through September 10.